We want your precious cargo safe. Motor vehicle crashes are the leading cause of death for children ages 14 and under. 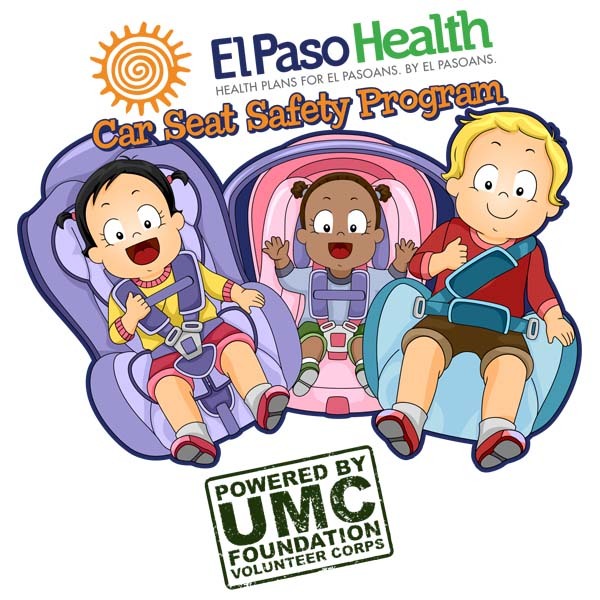 UMCF Volunteer Corps is working to increase the safety of child passengers in El Paso with monthly Car Seat Safety Clinics made possible by a grant from El Paso Health. 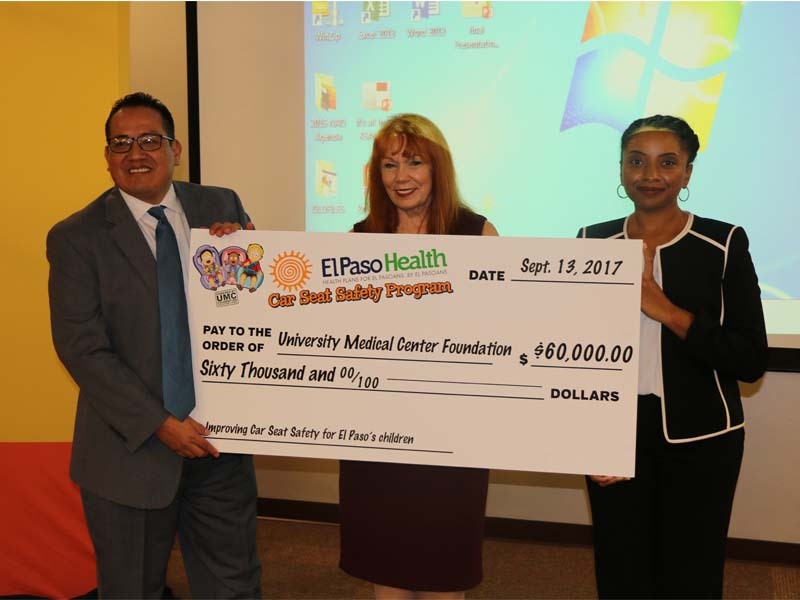 Beginning September 2017, UMC Foundation will hold its El Paso Health Car Seat Safety clinics on a monthly basis throughout parts of the El Paso area and rotate between east, west and central El Paso. Appointments are made from the waiting list each month. During these clinics, certified Child Passenger Safety Technicians (CPST) evaluate the child’s car seat for safety and proper fit. If the car seat does not meet current safety guidelines, or if it is an incorrect car seat for the child’s age, height and weight, it is replaced with a new car seat free of charge. The clinics also provide important car seat safety education to the family, and instruct them on how to properly install their car seat. University Medical Center Foundation Volunteers make these clinics possible with set up, breakdown, event support and assisting car seat safety technicians. Since the program began in 2014: 2,153 new car seats have been provided; 2,404 children have been evaluated for safe travel; 1,426 families have been instructed regarding child passenger safety education, and 1,162 car seats have been destroyed and deemed no longer safe. For more information, contact Carolyn Williams, Volunteer Corps Program Manager to schedule an appointment or for more information, 915-521-7229, ext. 80528, cwilliams@umcelpaso.org. To be placed on the waiting list, click here.